Help Muddy solve the puzzles of Jinbei Land! 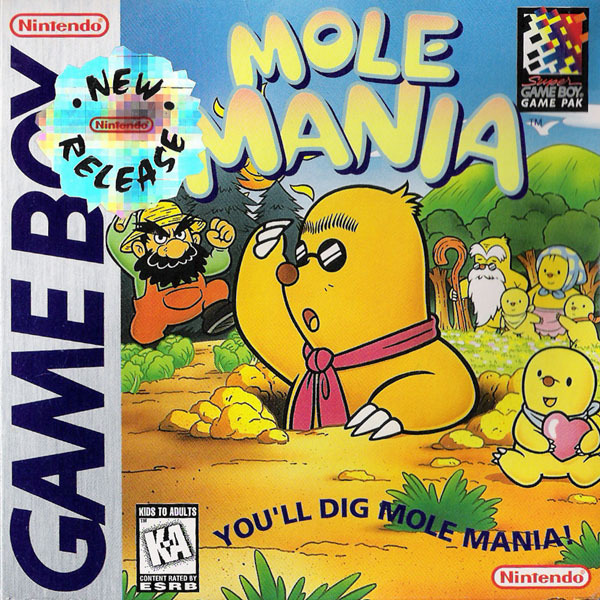 Join Muddy Mole in a race to destroy enemies and obstacles in an attempt to defeat the evil farmer, Jinbei. Blast strategic exits using black balls and tunnel your way to the next action-packed level. 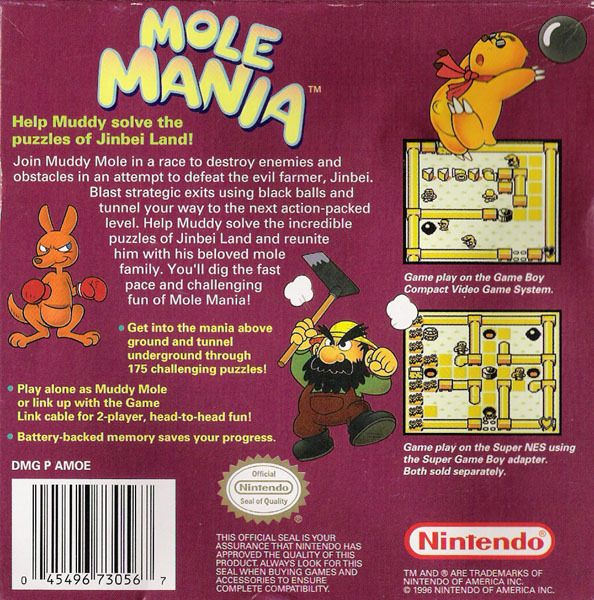 Help Muddy solve the incredible puzzles of Jinbei Land and reunite him with his beloved mole family. 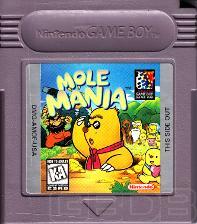 You'll dig the fast pace and challenging fun of Mole Mania! Battery-backed memory saves your progress. Box scans courtesy of Josh.